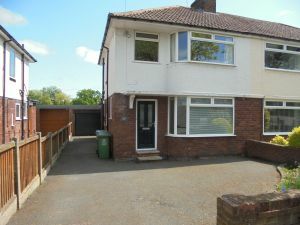 This lovely semi-detached house is set in a lovely urban area and comes with combi. boiler gas central heating. The kitchen (vinyl flooring) features a fitted kitchen, electric cooker and fridge/freezer. 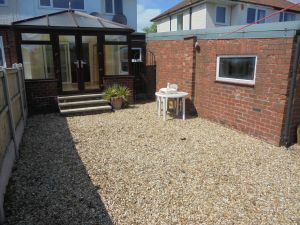 The livingroom has a laminated floor which extends to a generous, south facing conservatory.There is a washing machine and a dish washer. The first floor bathroom (vinyl flooring) has an electric shower over the bath, hand wash basin and WC. The first floor also has 1 large and 1 smaller sized bedroom. The backyard is a bit of a suntrap. Lovely drive for off street parking.